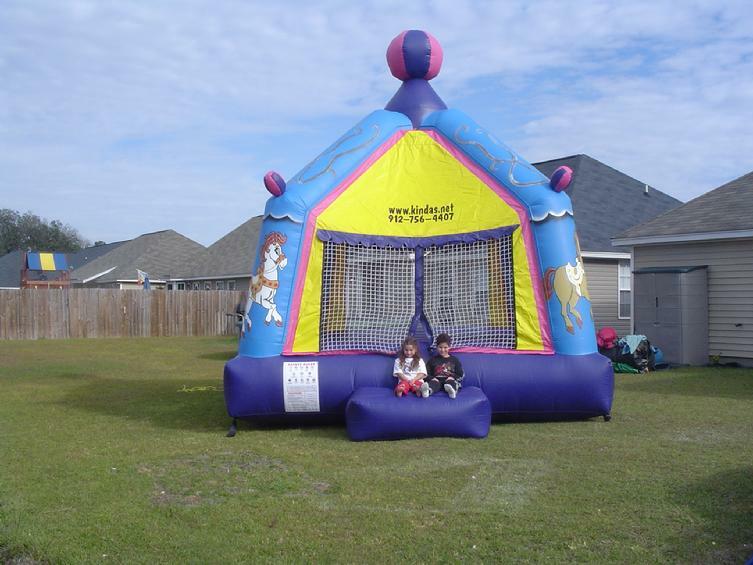 This Bouncer is Fun as a Three Ring Circus! Description: This pretty, beautiful Carrousel is for the loving, bright gems in your life. Bright and happy this beautiful bounce house has painted ponies and decorative balancing balls on top. Smiles and laughter abound with this "turn of the century" tribute to the carousel. This beautifully produced inflatable bounce cleverly recreates the century's old handcrafted tradition and detailed artwork. 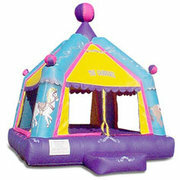 The Carousel Bounce is enjoyable to look at and fun to bounce in.